Light and airy with 1 king bed (or 2 twins, let us know if you want this option) and a twin day bed with twin pull out bed underneath. This room is situated on the second floor, with windows facing the south and east, this truly is the solar room. Shared bathroom on the first floor. Sleeps up to four people. Air conditioning in room. 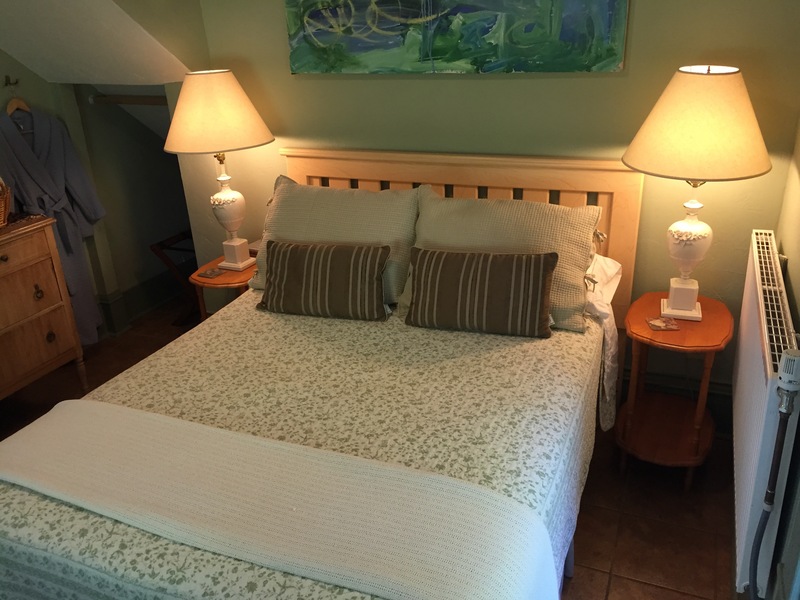 Striving for a healthy environment our towels and sheets are made from organic cotton and all non VOC paint has been used throughout the home. The bathroom is equiped with a low flow toilet and low flow shower head. Enjoy organic produce from our garden during your stay. Enjoy a delicious and healthy breakfast. Bring your own ingredients and have full use of the kitchen to prepare your own lunch and dinner. We are proud that Artha B & B is powered by solar, both for the homes water and heating needs as well as electrical usage. 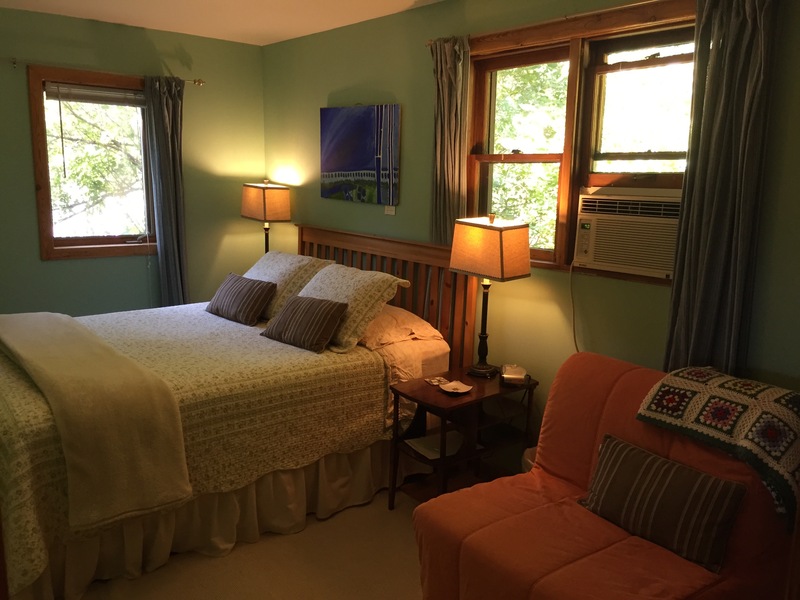 Our home has been part of the Solar Tour of Homes and is certified as a Travel Green Wisconsin accommodation. 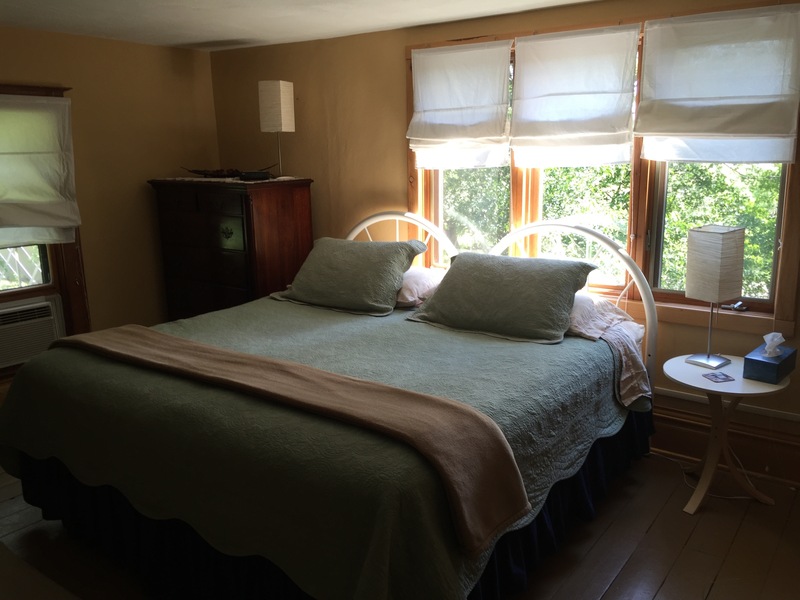 This first floor room has a double bed with a country atmosphere. Includes a comfortable IKEA chair cot for extra guest. Shared bathroom. Sleeps up to three people. Air conditioning in room. This room is on the first floor and boasts a modern spacious feel. Queen bed and beautiful view of the wooded backyard. Extra twin bed can be placed in the room. Sleeps up to three people. Spacious private bathroom. Has air conditioning. We’ve had a wonderful stay! The most beautiful fall weather, extensive hiking treils,a and delicious food… We feel so lucky to have found Artha Sustainable Living Cneter: a true retreat with a calming presence.. We’ve spent the weekend enjoying delicious, organic, home-made meals; stretching out to read good books; watching the fall colors all around the house; and enjoying time away from the bustle of day-to-day business. We’re sure to come back – for yoga retreats, hiking or just to have a retreat of our own. “Artha is sustaining and renewing! What a wonderful place to share our sisterhood and find ourselves Thank you for a beautiful and warm place and the lovely breakfasts. I feel rejuvenated!